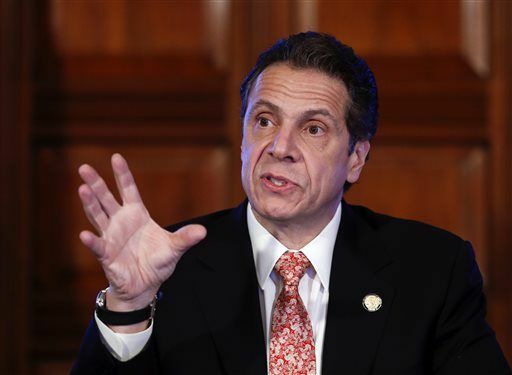 New York: Adopting the Failed Federal Model? The New York Times suggests that New York Governor Andrew Cuomo is undergoing a "shift" from "prison" to "more mercy," after going five years without commuting a single sentence, "despite earlier promises" and despite the wild enthusiasm and dedication to clemency that Cuomo evidenced when he opened - we're sorry! - "unveiled" a new web page ten months ago. What brought about this headline? Cuomo granted a mere five pardons before (three on New Year's Eve 2013, two on New Year's Day, 2015) and is now commuting the sentences of two persons convicted on drug charges and pardoning two others who are at risk for being deported. 9 whopping acts of clemency since 2011 ... a record even more abysmal than that of President Obama. Such a project, even in embryonic form, is a drastic turnabout for New York, where governors have granted clemency to fewer than one in 100 people since 2006, with the exception of David A. Paterson, who granted about three in 100. For nearly four decades, clemency has been in decline in New York and across the country; some years it has seemed that only the Thanksgiving turkey at the White House was granted a pardon. The orthodox view, embraced by the two leading political parties, was that there was no such thing as too much prison. That has changed. Lots of talk. Lots of promises. Five, six years later, we are about to take a "critical step" toward something. That has an awfully familiar ring to it. See story here.